A bit of a ways from city-center, Guinness Storehouse is a mecca for beer-lovers—although really anyone should visit, because its enormous keg-shaped facility rises seven floors and peaks in a bar with a 360-degree view of Dublin and the surrounding mountains—something you really can’t see anywhere else. Trinity College was established by Elizabeth I in order to form a trio with Cambridge and Oxford—but since Ireland is not part of the United Kingdom, that affiliation seems to have gone by the wayside. 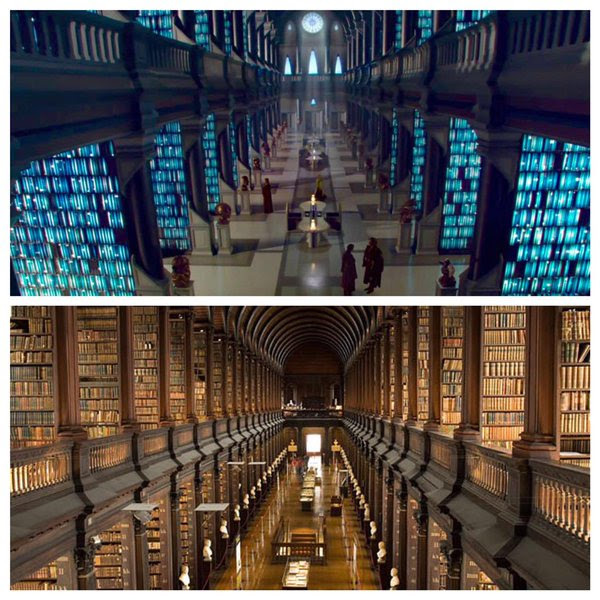 Either way, its campus is more than 400 years old, and features a stunning Old Library (which may or may not be the library George Lucas used for Star Wars—you be the judge) and the Book of Kells, a 1200-year-old book of the gospels that is one of the most stunning examples of illuminated manuscripts around. Also keep an eye out in the library for a copy of the Easter Proclamation—the document which declared Ireland a republic separate from the U.K. and launched them on the road to true independence. If you’re feeling weary from all your sightseeing, St. Stephen’s Green is a beautiful park for a picnic, a nap, reading the book, or just sitting on your rump in general. Its flower beds, fountains, pond, and shady trees are the perfect place to take a break, and it’s located in city-center, meaning once you’re done, tons of sites are right nearby. In 841, Vikings made a huge settlement in Dublin in what is now known as Wood Quay. Sadly, the site was largely destroyed by the construction of government offices after it was discovered, but the National Museum of Ireland was able to spend several years excavating the site, uncovering two million artifacts. These now can be seen in the archaeology museum, along with the mummies of people found in Irish bogs, plenty of important Irish artefacts, and exhibits on ancient Egypt and Cyprus. Ireland’s road to independence was paved with blood and sacrifice—and no location can tell this story better than Kilmainham Gaol (“jail”). Many of the leaders of the 1916 Easter Rising were imprisoned and executed here—an action which at last stirred the Irish into their final rebellion against the British crown. It finally became a republic free of the United Kingdom in 1949, after a civil war.